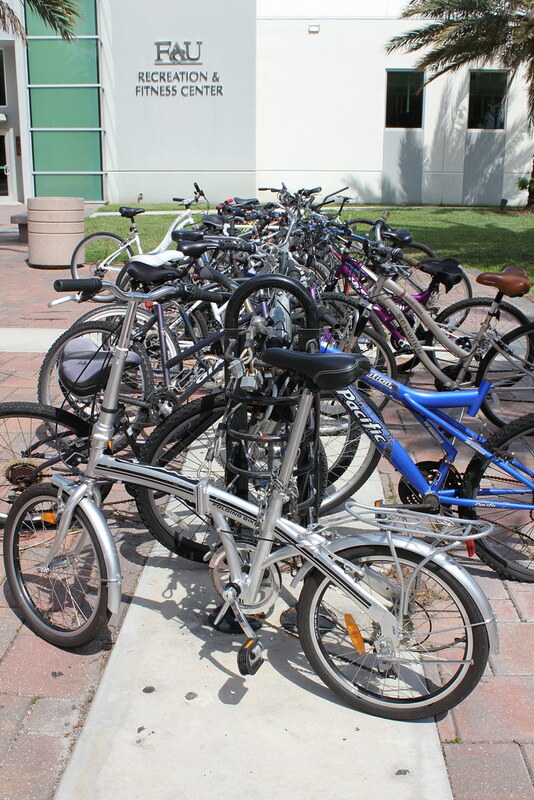 Like any university, FAU in Boca is filled with students on two wheels. 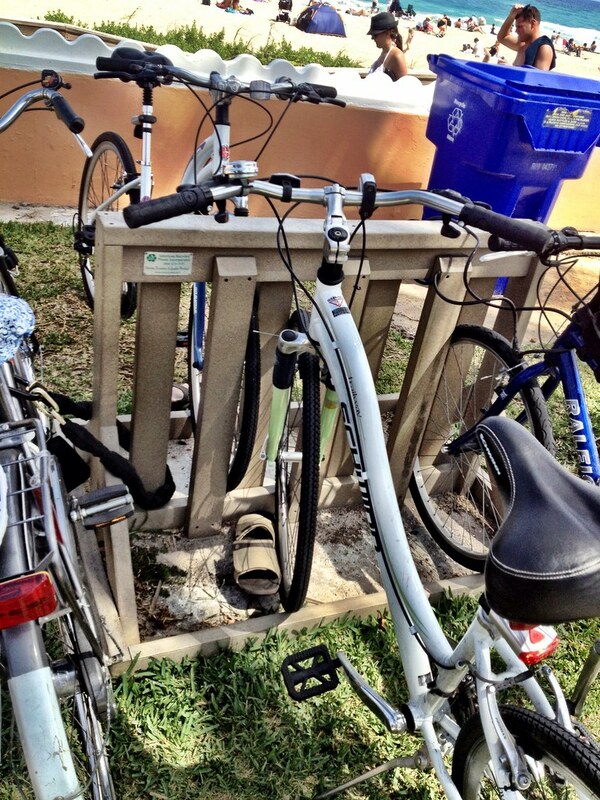 While bike racks are overflowing, bike infrastructure leaves much to be desired. 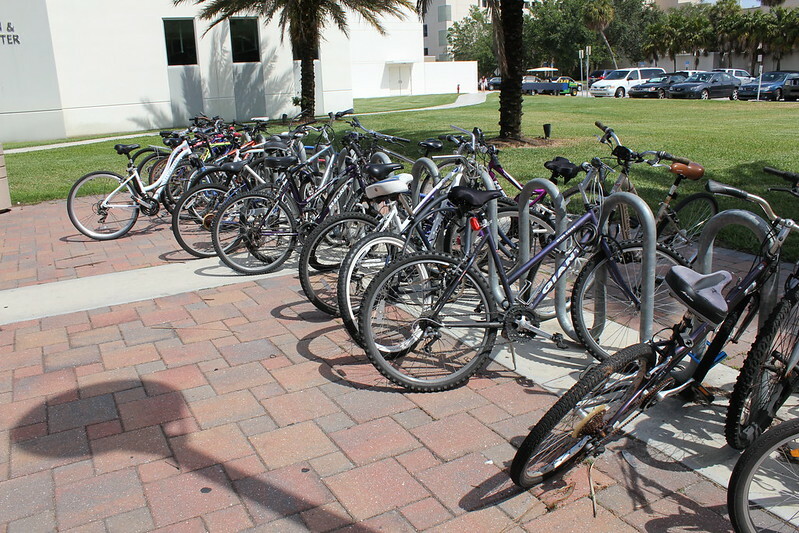 FAU could have created a system of protected cycle infrastructure around its campus when it was redoing its streets. Because the school is mostly a commuter school, they have built high-volume thoroughfares and then have had to deal with safety issues by way of imposing speed humps all over the place. Instead of really trying to quell the problem, they put a bandaid. 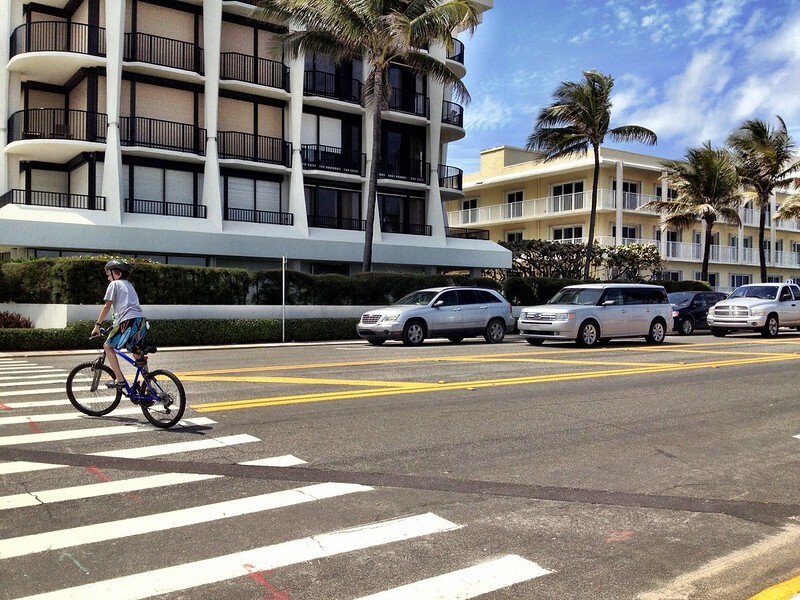 I became tired of seeing students running across intersections even if the crosswalk signal said "walk". Upon building their stadium and new dormitories, they have slowly started to take away all of the wide swaths of parking that dominate the school landscape and have made it one of the ugliest campuses I have ever seen. However they are still a commuter school and have this tug-of-war pull between accommodating vehicular traffic and really improving the pedestrian zones. 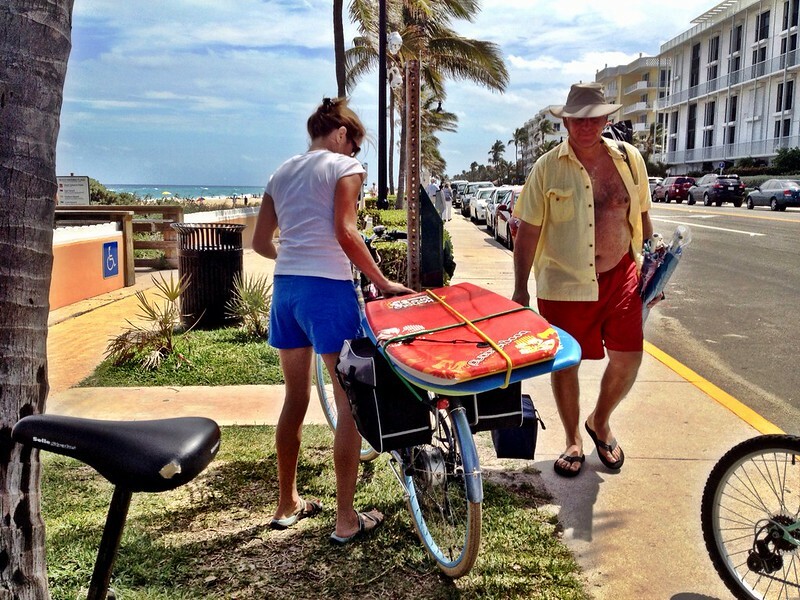 But they haven't addressed the cyclists who still ride on the sidewalks. There's incredible room for improvement if they want to fix these issues and roll back the commuter reputation and ghastly parking lots. The El Rio Trail that runs from the commuter rail Tri-Rail station and goes under the monstrosity of I-95 to bring students safely straight to campus without going on major arterials and taking a wide detour is the best thing they have going for them. They need more of this concept. 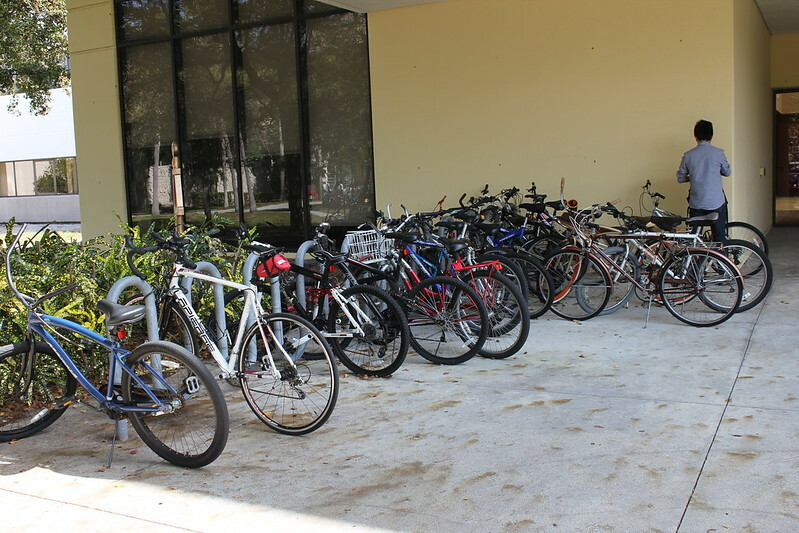 On another note, I am still amazed at the number of bicycles in Florida that do not have fenders whatsoever. Summer is the rainy season and summer is considered April - November. Geniuses. Have fun with all that. 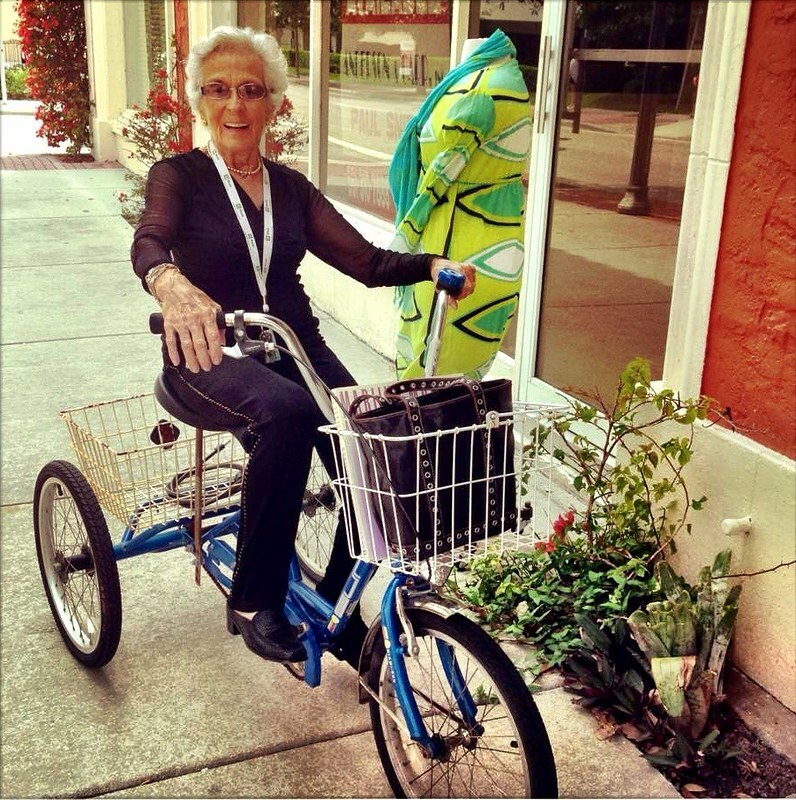 Love seeing older people out enjoying bicycling. Another thumbs up for the Downtown! Florida is warming up once again so it's beach time! 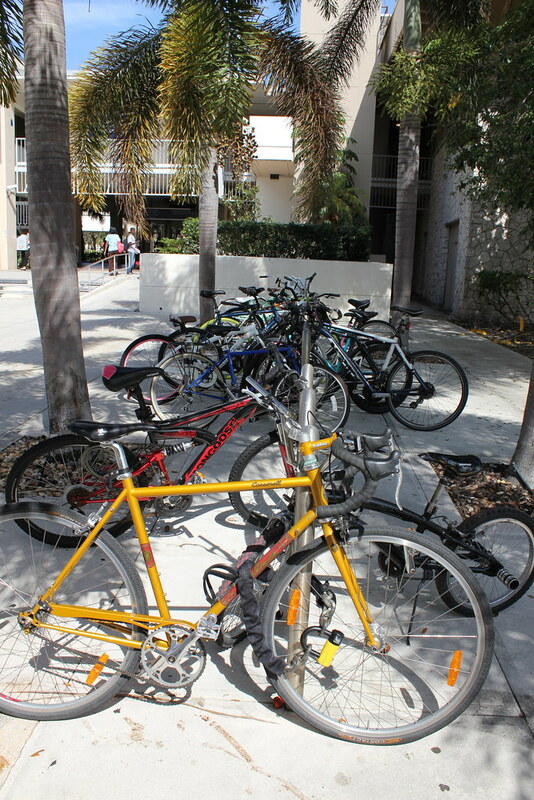 Bike rack is full! 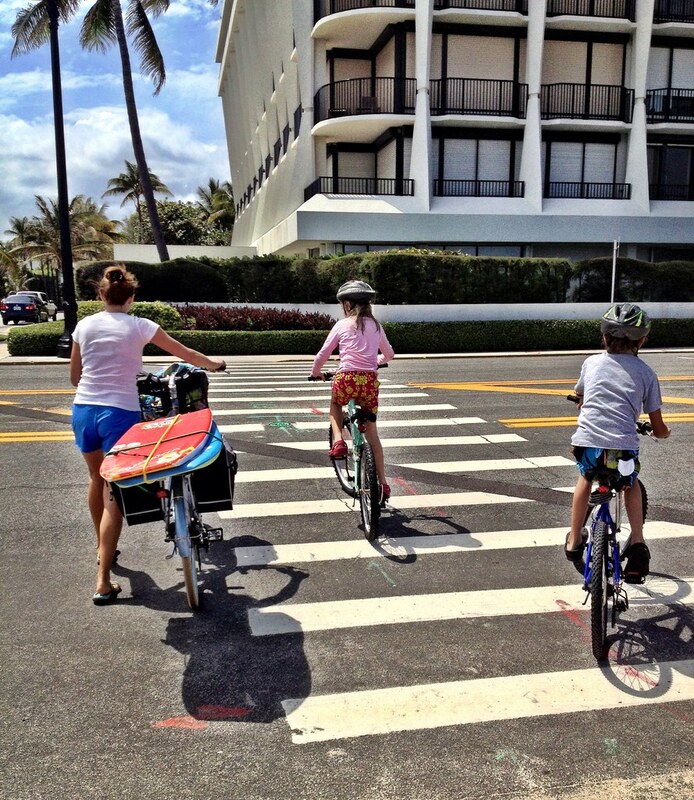 This mom strapped some boogie boards to her cool blue bicycle with panniers and pedalled with her kids home. Kickass cream tires! Traffic for once stopped for the sweet family.